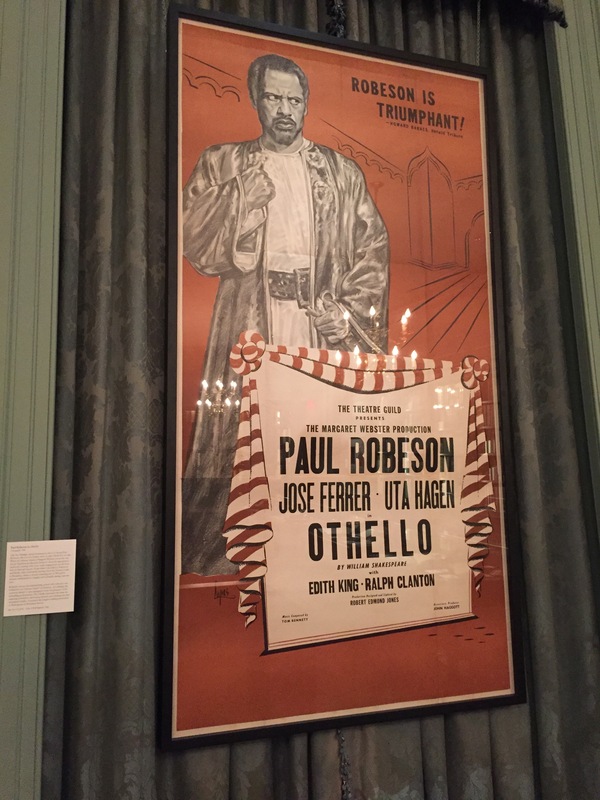 The mural concept stems from the Hung Tao Choy Mei Leadership Institutes efforts to introduce Paul Robeson to the present generation and re-introduce him to previous generations through the Paul Robeson "Here I Stand" Award galas at the Lincoln Theatre. Lead muralists Cory Stowers and Andrew Katz, their artist conclave (Eric B. Ricks, Maria Miller, Serena Z, Ernesto Zelaya, Jaa), the funding of DC Commission on the Arts and Humanities, and permission of the building owner brought Paul Robeson, larger than life, to U Street NW. This is just the starting point in understanding the depth and indefatiguable efforts of an American master of the arts and civil activism. Read Robeson's autobiography (c1958; c1971: Here I Stand) and come to the mural at 1351 U Street NW, Washington, DC. Paul's father escaped slavery, fought in the civil war, and became a Presbyterian pastor in Princeton, NJ after attending Lincoln University and Seminary near Oxford, PA.
1919 Valedictorian and Phi Beta Kappa Rutgers College; First African-American to play football at Rutgers. Well known in Wales for supporting miners' civil rights. 1940 The Proud Valley, London. Issued in the US as The Tunnel (film). 1942 Criticized media for poor roles for Blacks in film, so stopped acting in films. 1949 World Congress of Advocates of Peace, Paris. 1950 US State Department revokes passport. 1958 (Kent v. Dulles) Supreme Court rules that the right to travel is inherent in the "right to liberty" and forces the US State Department to reinstate passport. 2004 Commemorated on US stamp.